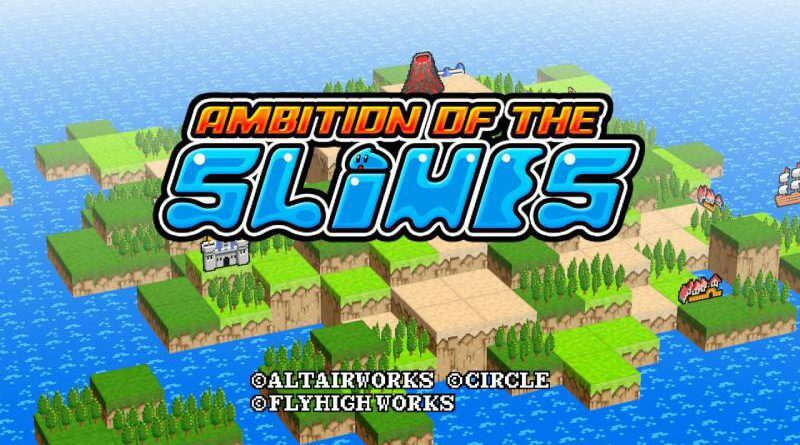 Flyhigh Works has announced that Ambition of the Slimes is coming to Nintendo Switch in North Amerca and Europe via the Nintendo eShop on January 18, 2018 for $5.00 / €5.00. Slimes are surprisingly versatile in this strategic RPG – they can use magic, multiply and use various special abilities. Despite all of this they usually get bashed into a mush, not always by heroes but sometimes by village commoners – ouch! That changes in Ambition of the Slimes thanks to the ability to “Claim” enemies. Under your command Slimes are able to take control of their opponents’ bodies by jumping into their mouths! Use this Claim ability to inform your strategy in battle, taking over strong enemies and leading the Slimes to victory. As you fight through the levels you will learn all about the Ambition of the Slimes.